"A life contemplating the blessings of Christ becomes a life acting the love of Christ. I listen to wind in the corn, rain on the pane, and I find my place. All the lost pieces are finding their place…." All Is Grace (With Ann Voskamp) from Shaun Groves on Vimeo. After you get that one, hop on over and get Sara Groves' new album. More than a month ahead of schedule. It's been a happy, happy morning at our household. 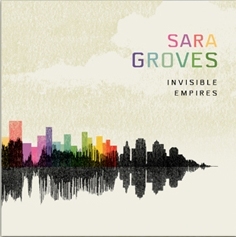 Love Sara Groves. Love pre-release packages. Love all this music. It makes you dream of Jubilee. Keep your eyes on the prize, hold on."